Biggest Trend in 2013? 21 Meetings Industry Leaders Give Us Their Predictions. These pieces provide great value to eVenues: traffic, awareness, thought leadership and perhaps sales leads and new business. To get some insights on how Kenji pulls it off, I did a Q&A with him. A: Since I moved from Tokyo to Seattle about 2 years ago, I’ve been helping startups like eVenues with their SEO and content marketing strategy. I have been working with eVenues closely for over a year to help drive traffic to their site. Q: Tell us about eVenues? A: eVenues is an online marketplace for meeting spaces, bookable by the hour or day. Over the last three years the company has evolved from a instant booking service and scheduling system for participating venues, to a fast response lead generation system for venues and space seekers. Not only do we list spaces, but we now have the “virtual concierge” technology to help renters find what they need without being overwhelmed by options. This last innovation has served us well and has propelled our growth. Q: What inspired you to assemble these “industry thought collection” pieces? A: I’m always on the lookout for great content in other industries that manage to get a lot of links/tweets/and shares. I saw a similar “industry thought collection” piece for a completely different industry and thought it would be a good fit for the meetings industry as well. Q: What benefit have you (or eVenues) derived from them? A: These pieces have helped establish our blog as an important resource for those who wish to keep abreast of the meetings industry. It shows to potential clients and customers that we aren’t “just another startup” trying to disrupt an industry that we don’t know anything about. One secondary benefit of these posts is the number of links that they attract, thus helping boost our domain authority. The higher our domain authority, the higher our listings rank in the search results. Q: How did you find and recruit contributors outside of your network? A: The first place I looked was the list of eVenues’ twitter followers. While technically a twitter follower is already a connection it’s a relatively weak one. I sent very short direct messages asking influential followers in the meetings industry if they wanted to contribute to the post. Because they were already following eVenues, there was already a bit of credibility established. That made it easy to move forward. I did, however, reach out to complete strangers outside of the eVenues network. I compiled a list of influential people in the meetings industry and used an email finding tool (http://linksy.me/find-email) to make the first approach. I’ve found this tool extremely helpful for content marketing outreach purposes. This tool is a marketer’s dream and I don’t share this it lightly because of the potential for abuse, but I figure the readers here will use it for good and not for evil. Q: Do you edit any of the contributions? A: I’ve had to shorten some submissions slightly and have made small wording and typo fixes. I make sure to send a preview to contributors before the post is published so they can see changes made if there are any. Q: Are there any online tools you use that help you put these together? A: I mainly use Gmail to keep submissions organized. When anyone sends me a submission to a post I’ll move it into a folder like “2013 trends post”. This makes it easy to keep track of who submitted and who I may need to follow up with. No special tools other than that. Q: Approximately how much time does it take you to do one of these? A: It takes about a week and a half to do all outreach, collect submissions and create the post. Q: What’s the one piece of advice you’d give to someone looking to do something similar in their industry? A: Most people, no matter how much of a big deal they may seem, are probably more accessible than you think. You’d be surprised how many of them are willing to take the time to share their knowledge and experience. Q: Let’s turn the tables: tell us your 2013 predictions for the meetings industry? With a younger generation rethinking large events with such meetings as barcamps and unconferences, we’ll see small meetings take a bigger chunk of the pie. Although events will get smaller, they will likely become more frequent and informal, meaning a quicker turnaround when it comes to dealing with suppliers. The content of the event is much more likely to be recorded and distributed through online channels, either for SEO/content marketing purposes or selling the content itself. Finally, the industry will be surprised by the actual revenue generated by the “hidden planner”. Typically these are planners that spend 1% of their time “planning a day meeting or event”. eVenues has begun to partner with many and will continue to increase the marketing efforts to capture this data and report back to the industry. Over a year ago, Jenise Fryatt (@JeniseFryatt), the Master Connector, invited me to join a tribe that she organized on Triberr – a “community-building platform for bloggers” and “reach multiplier.” Jenise had organized a tribe of meetings and events professionals and thought that my blog (on virtual events) would be a good fit for the group. The idea is that you share (promote) tribe members’ blog postings on Twitter and they do the same in return (for you). When you join the tribe, you supply your blog’s “feed URL” (also known as the RSS feed URL) and every time you publish, the rest of the tribe “sees” your new post. From there, each tribe member can click “Approve” to auto-publish a link to your post via Twitter. If you approve multiple posts at once, Triberr staggers the schedule, so that the tweets don’t all go out at once. When I first joined the tribe, I figured it would be a nice way to receive additional traffic to my blog. That’s been a given, but Triberr has provided me with a whole lot more. So here are five reasons to consider finding (and joining) your own Triberr tribe. 1) Expands the reach of your blog postings. Before Triberr, I’d publish a new blog posting, tweet a link to it, then repeat that tweet a few more times during the week. I’d hope that others would see my tweet – and if I was lucky, retweet me (thus sharing my link with their followers). With Triberr, I get a “built-in endorsement network,” a set of people who see (and may choose to share) each and every post that I publish. The tribe brings a quantity and quality of reach. Combined, they have a significant quantity of followers on Twitter. But it’s the quality that’s more important to me: the tribe brings a diversity in followers that’s impossible to achieve alone. 2) Find interesting posts and articles to read. I love to find interesting and thought-provoking articles to read. Twitter (and related apps, such as Flipboard) have helped in the discovery process, since a prominent activity on Twitter is the sharing of links. Triberr helps in my quest to discover great content. 3) A community assembles and grows. I love how Triberr calls itself “a community-building platform.” It’s so true. Going in, I knew a number of my tribe members already (mostly via Twitter!). But being part of the tribe has helped build a sense of “team” and togetherness. 4) Provides great content for you to tweet. While some may find this hard to believe, there are times when I don’t have much to tweet about. Consider it a 140-character form of writer’s block. That’s when I turn to Triberr. Sometimes when I forget to check “New Posts” for a day or two, there will be 5+ posts queued up there. And if I’m short on tweets that morning, I’ll review, read, then approve the posts and wha-la! I’ve just scheduled 5 tweets to go out that morning. 5) Spark ideas for new blog posts. When my writer’s block moves from Twitter to my blog, I can look to my tribe and consider what they’ve written about recently. That can give me topic ideas for my own blog. I consider it “food for thought” to help feed my own blog’s editorial calendar. Triberr, and especially the “Got Your Back” tribe to which I belong, has been fantastic. Between “blog promotion” and “being part of a community,” I value the latter the most. Whether you’re just starting out or have been blogging for years, consider finding a tribe to join. If you can’t find one, create a new tribe and invite your network to join! “How Triberr Works,” from WikiMommy. “A Guide to Getting Started on Triberr,” from AllTriberr. It’s an industry much-maligned, the airlines – flyer satisfaction has suffered over the years, due to flight delays, lost luggage, unsatisfactory in-flight service – and most recently, extra charges for in-flight meals and checking in baggage. The virtual event industry, in fact, has been a beneficiary of decreased air travel, as more and more attendees (and meeting planners) opt for virtual events. That being said, the virtual events industry could stand to benefit in adopting programs pioneered by the airline industry. Let’s consider a few. According to Wikipedia, “As of January 2005, a total of 14 trillion frequent-flyer miles had been accumulated by people worldwide, which corresponds to a total value of 700 billion US dollars”. 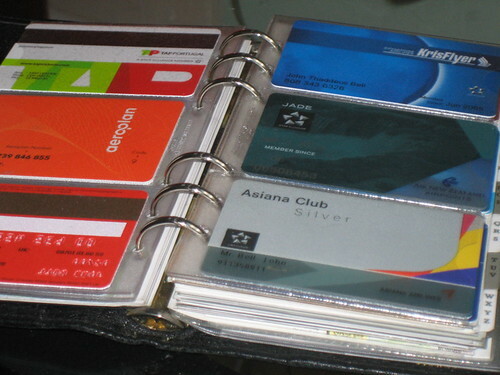 What are frequent flyer programs all about? Creating active and loyal customers. You’re naturally incented to build up your miles on a single airline, in order to qualify for a free flight, free upgrade to first class – or, credits that can be used to purchase goods and services. Virtual events, on the other hand, are all too often “one and done”. Yes, you may attend a great virtual event, but a week or a month later, you’ve moved on to the “next thing”. You may return for the same virtual event later in the year (or, next year). But you probably don’t re-engage with that event until it comes around again. Importantly, when you register members to your affinity program, re-use the same profile data for the subsequent events. This not only provides a convenience to your members (e.g. seamless access into all subsequent virtual events without having to re-register), it generates loyalty and continued attendance (since it’s so convenient to attend each event). UPDATE: additionally, encourage members of the affinity program to invite their colleagues and friends to join. Reward them with additional points (or privileges) for each referral that turns into a new member. For the ongoing community, the points structure serves to reward the more active community members – incenting them to keep logging in and participating. The key here will be an incentive program that provides real value to those members who have achieved high point scores. More on that in the next section. First class, business class, coach. Which one you travel in depends on how much you’re willing to pay and how loyal a customer you are (i.e. how many frequent flyer miles you’ve banked). Either way, you know that the airlines create clear differentiation between these tiers of service. 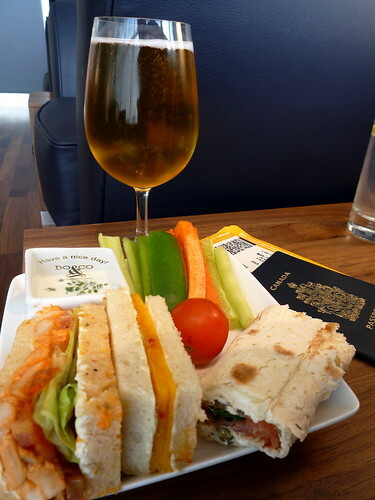 First class travelers can board the plane first, sit in much wider and more comfortable seats and be treated to premium food and beverage (that’s included in their ticket). In virtual events today, premium services tend to be exclusive content that’s available on a “pay per view” (individual content item) basis – or, by way of a premium attendee package, which costs more than the standard package (which may be free). Virtual event platforms – and, virtual event show hosts, ought to consider additional tiers of service within an event. The key will be to create features for which attendees will pay extra – or, for which they’ll perform additional actions to achieve premium status. As such, virtual event show hosts will need to create the airlines’ first class service tier – e.g. something attendees will actually yearn for. These premium services would allow the show host to generate additional revenue. In addition, the premium tier could be bundled into affinity programs, incenting more activity and engagement (from attendees) in order to reach premium status. So let’s say I’m a frequent contributor to a technical forum – or, I frequently visit the Lounge and help other attendees troubleshoot technical issues. I’m basically generating a lot of “value” for other community members, on behalf of the show host. As such, if I’m in the virtual event affinity program, I should be awarded points (for my actions) that build me up to premium status. Reward your loyal and most engaged attendees and you end up encouraging others to join the fray. The industry (and, retailers like SkyMall) realized that they had a captive audience for the duration of a 2-hour (or 20-hour) flight. Sure, there’s reading material, TV, movies (and increasingly, WiFi access), but there’s also a product catalog that’s neatly tucked into your seatback. And when it’s near time to land and you need to “turn off all electronic devices”, it’s all too easy to grab the SkyMall and peruse through a product catalog. Before you know it (for some of you), you’ve just charged $50 onto your credit card. In virtual events, the active audience is a captive audience – attendees are busily viewing sessions, visiting booths, chatting with other attendees and chatting with exhibitors. Show hosts and exhibitors need to provide this captive audience a valuable and convenient way to “convert” attendees. Organize your content well – and provide tailored content to individual “personas” (e.g. “Storage Administrator’s Guide to Data Deduplication in the Financial Industry”). Provide tools (e.g. an RFP requester) that allow attendees to conveniently reach out to multiple exhibitors at once. Engaged attendees who are not converted from a “visitor” to an “opportunity” are merely lost opportunities. In conclusion, I think the virtual events industry stands to benefit from adopting tactics used in the airline industry. Now if only I could convert my virtual event attendances into frequent flyer miles! Review: Lenovo’s eLounge Virtual World – what I learned here is to create timely blog content that associates with major events. Lenovo unveiled their eLounge virtual world (powered by Nortel’s web.alive) at CES 2009. I decided to download it, try it out and review it. Because my posting was a relative first (in terms of eLounge reviews), it got the lion’s share of search engine traffic. I saw this both in referral data and by tracking relative rankings on the search engines themselves. Additionally, a large amount of traffic was sourced from a popular blog about Nortel (allaboutnortel.com). Interview With Nic Sauriol, Venture Lead on Nortel’s web.alive Platform – if you strike a chord with an interesting posting, ride the momentum and generate follow-on postings that provide more information (or additional insight). Nic Sauriol provided me with a virtual tour of eLounge (for my original blog posting), so I followed up later with an interview, asking Nic to provide new information on web.alive since the eLounge launch. Insights And Experiences From Virtual World Experts – here, I summarized a panel discussion for which I was an audience member. It featured top notch virtual worlds experts – and as a result, this blog posting received a great deal of referral traffic from related blogs (e.g. Wagner James Au’s New World Notes). How To Use Social Media To Stay Current On Virtual Events And Virtual Worlds – this posting had the benefit of being posted on StumbleUpon, which generated a nice spike in traffic. Hard to say whether the traffic surge resulted in new, regular readers – or whether they were one-time, curious Joe’s. Regardless, I learned how powerful a single referrer (e.g. StumbleUpon, digg, etc.) can be. Hey Kids! I’ve Got a Virtual World For You – much of the traffic for this posting is due to SEO – it contains terms that are popular in search (e.g. My Little Pony, Webkinz, Club Penguin, etc.) – while I did not write this with the intent to generate search engine traffic, it does demonstrate the importance of writing content with SEO in mind (if your goal is to generate traffic from SEO). What’s worked well for you and your blogs? Leave a comment below to let us know. There’s been much discussion about the future of newspapers. Some have shuttered, others are struggling for their survival. Business analysts and bloggers have even speculated on the future of The New York Times. NYTimes.com had 14 million unique visitors in August 2008 (according to this Wikipedia entry). Many web-centric businesses have been able to build large market capitalizations off a base of 14+M users. So how can NYTimes.com monetize their users beyond display advertising? Let’s see. How about creating a community around these 14+M readers – and creating an interactive, real-time newspaper? That’s right, folks. I’m proposing that NYTimes.com be powered by a virtual event platform. I’m NOT proposing a 3D environment with avatars. Instead, I’m proposing a 2D “tradeshow-like” platform that would enable a business that’s rich in content (and, deep in Editorial talent) to best monetize their resources. The newspaper’s main sections each map to “booths” within the platform – Of course, we’re not going to call these booths – I’m just drawing a parallel to the virtual tradeshow (VTS) model. But, the functions and features here are the same that power a VTS booth. So for NYTimes.com, there are “booths” labeled World, U.S., Politics, Business, Sports, etc. – you get the idea. The booth is the central holding place for that section’s content – Just like a newspaper has a front page – in a booth, the day’s content is rendered prominently as you enter – and, Editors swap out stale content (into the booth’s archive) for fresh content. Editors staff the booth and connect with readers – To me, this is the real game changer with this concept. Editors (when time permits) can login to the environment and interact in real-time with readers. What better a way to find out what your readers are interested in? And, what better a way to find and connect with sources for you and your reporters? Readers interact with other readers – Another game changer here, as the platform would allow readers to tap into social networking to interact with other readers, all in the context of your content. Valuable interactions keep those readers coming back in for more, creating site loyalty. I can click on Harvey Araton’s profile and read about Harvey’s interests and specialties. If Harvey is online, perhaps I initiate a chat session with him – or, I drop him an in-show email to tell him I read his articles. This provides a benefit for both of us – I feel directly connected with NYTimes.com – and, Harvey is able to efficiently connect directly with his readers. Advertising – NYTimes can sell “run of booth” or “run of platform” ads – and also offer up specific areas of the environnment for sponsorship (e.g. Networking Lounge sponsored by American Express). 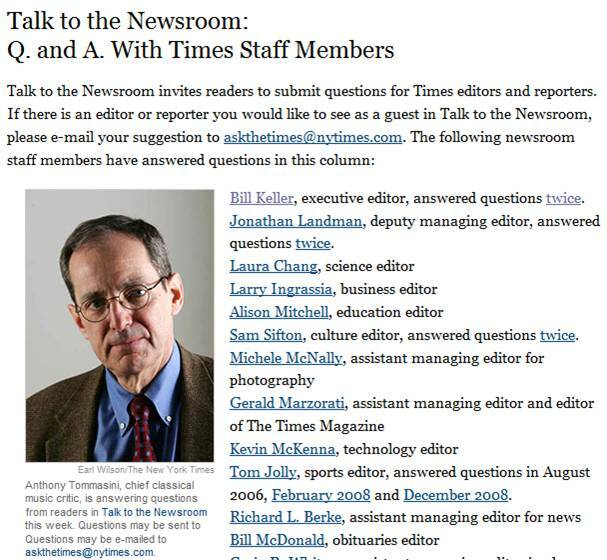 A la carte content monetization – Why not create “booths” that house the entire archive of New York Times content. Staff these booths with digital archivists, who can search through the virtual microfilm and find you the article you need. Only premium (paid) members get access to these booths – and, you pay for each article that’s delivered from the archive. Real-time briefing rooms or crisis centers – Recall how quickly Twitter spread the news about the Mumbai terrorist attacks. Why not have ad-hoc briefing rooms where NYTimes.com readers can engage around breaking news and current events? In this scenario, the “daily newspaper” transforms into a real-time, 7×24 “always on” environment. So some day, when I get my morning coffee and sit down with NYTimes.com, I’m hoping I’ll see you “there”.